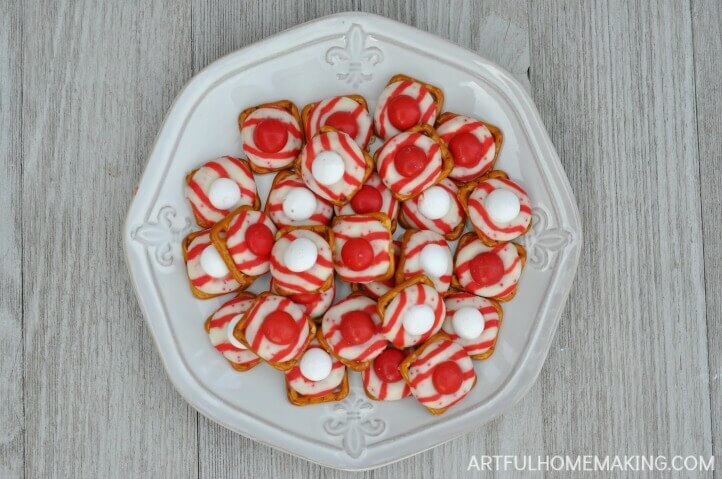 White Chocolate Peppermint Pretzel Kisses are my new favorite quick and easy Christmas treat! One day I was walking through Walmart, doing some Christmas shopping, when I happened across a display of White Chocolate Peppermint M&M’s. Even though I had never tried them before, I knew I would love them. And I was so right! They are amazing! 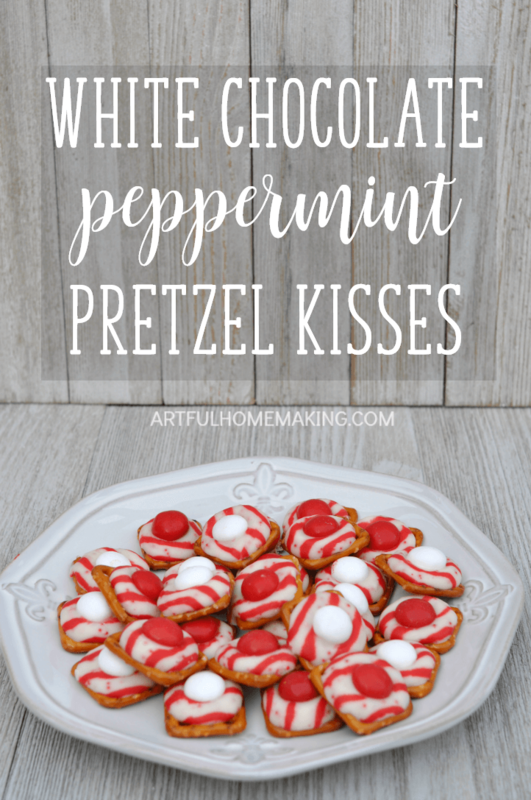 I decided to pair them with the Hershey’s Candy Cane Kisses and see how they would taste with pretzels. 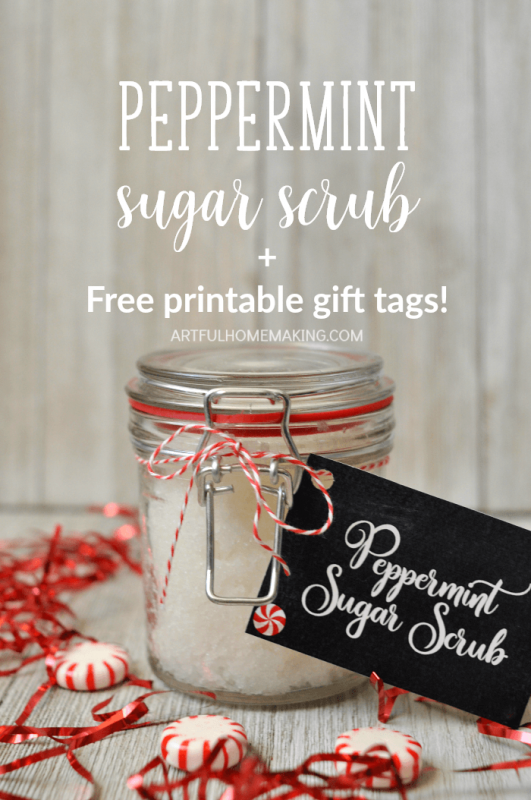 Another delicious combination! 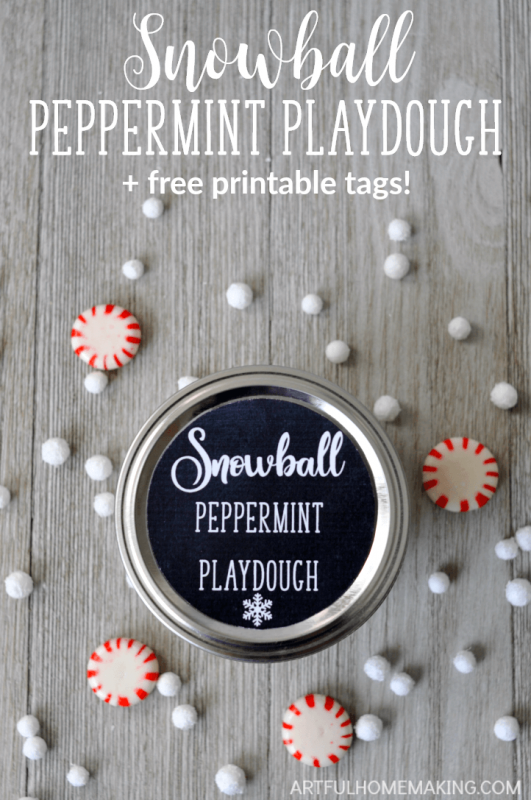 Making these White Chocolate Peppermint Pretzel Kisses couldn’t be easier. 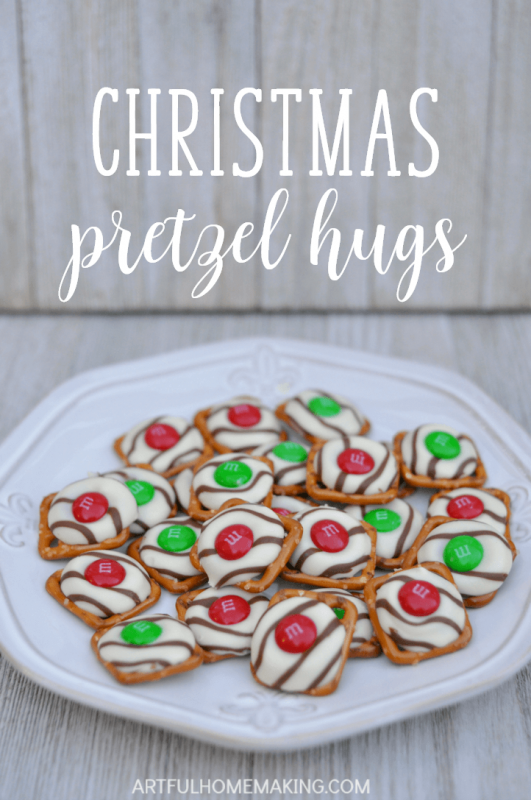 The instructions are exactly the same as the Christmas Pretzel Hugs. 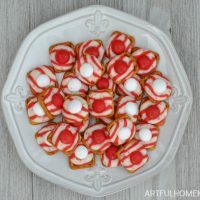 Cover a cookie sheet with parchment paper, place the pretzels on the parchment, and place an unwrapped Kiss on each square. Bake at 170° for 5-8 minutes (our oven takes about 8 minutes, but I start checking a little before that), until the Kisses are starting to soften but not melted. Remove the baking sheet from the oven, and quickly press an M&M candy into the center of each Kiss. Allow them to cool on the pan for a few minutes, then stick the baking sheet in the freezer until the chocolate is set.